Products have unique characteristics and each installation project should be carefully evaluated to determine the proper application of this standard. All facets of the installation are to be coordinated. 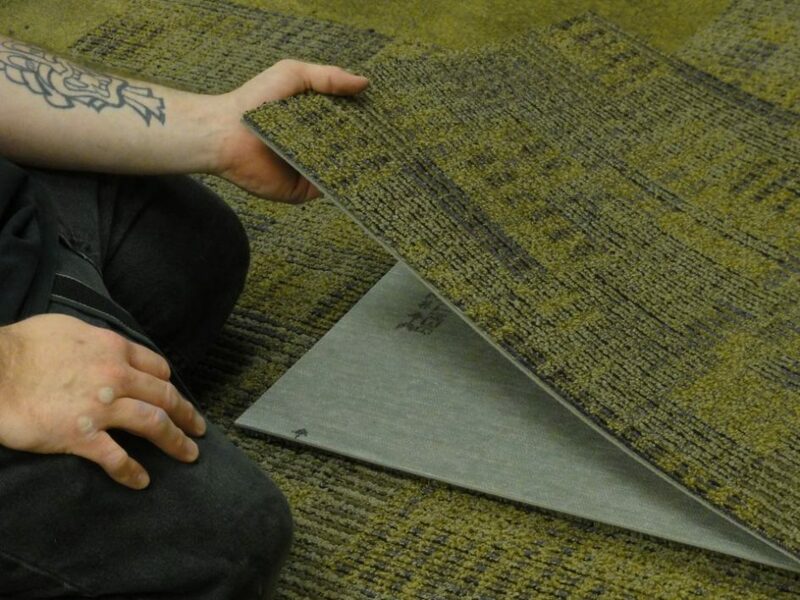 A scale drawing of the area to be installed is required to determine the type of carpet, carpet quantities, quantity per dye lot, installation method, cushions, adhesives, transition moldings, wall base types and othe accessories, and to identify the proper location of seams. The process is easy but requires precision in order to have a perfect and beautiful floor. Eagle Mat & Floor Products is the premier flooring dealer in the Washington DC Metro area. We have been providing sales and installation of commercial flooring products to the following market segments for over 35 years: Corporate, Education, Hospitality, Government and the commercial real estate community. It’s easy to contact us, and we’re happy to help. You can always call us at (301) 762-2000 or email us at sales@eaglemat.net for more information.